The Funky Felter: Yay! I'm featured in Interweave Felt 2008! My Orbiting Moons Fiber Art Pendant made it into the publication! Yay! I'm featured in Interweave Felt 2008! 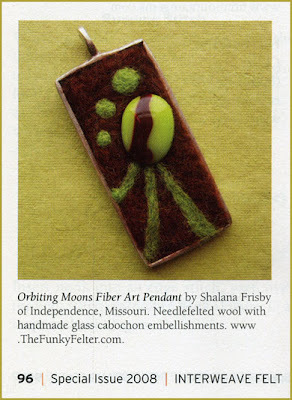 My Orbiting Moons Fiber Art Pendant made it into the publication! Every year, Interweave Knits presents a special edition magazine called Interweave Felt. It is full of tutorials, felting tips, and felted eye candy. This year, one of the co-editors found me through my flickr photo gallery and requested to use a needle felted fiber art pendant to feature in their Inspiration Gallery on page 96. 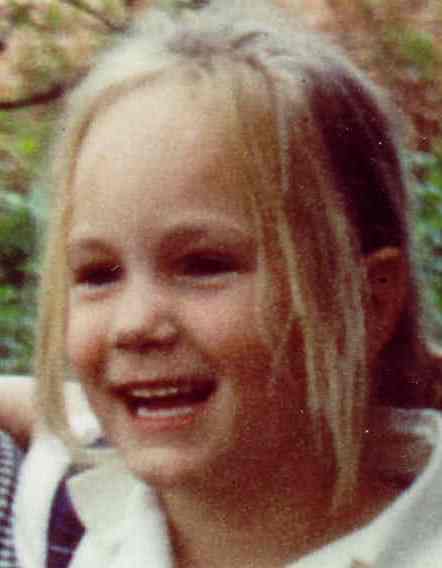 I, of course, was ecstatic and grateful, and immediately responded with a big "YES!" My Orbiting Moons Fiber Art Pendant is in good company along with eight other featured felt artists on that page. If you are an avid felter or a fan of felting, I highly recommend that you go pick up a copy of Interweave Felt. It only comes around once a year and is really a treat! It has content on all kinds of feltmaking from traditional wet felting, to needle felting, to knitted and fulled items as well. And, it is an excellent resource guide for felt related supplies, blogs, web sites, and more. I also wanted to give a shout out to those that I share the Inspiration Gallery with because it is an excellent mix of all kinds of feltmaking talent. Please take a peak at the following sites to see their felt works . . . Thanks so much to the editor at Interweave who found me! I am truly honored! **The image is courtesy of Interweave Felt 2008, page 96. Hi, I enjoy reading your blog and admire your work. I've given you a Brilliante Weblog award on my blog! Ohhhh congrats! I hope the exposure brings you lots of sales! I must go buy the mag so I can see it. congrats because of magazine, you're work is adorable!